Valentine’s Day is a bike day! Ride your bike with your sweetheart and share your love on the streets. 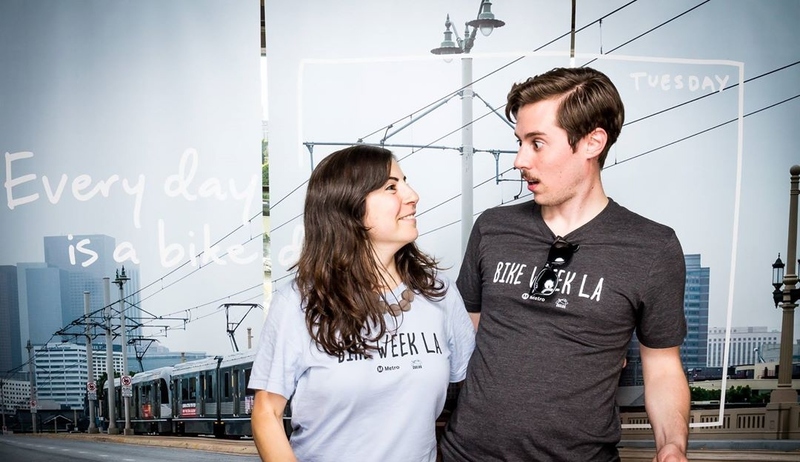 Post a photo of you and your darling on your bikes and tag us on Twitter @metrolosangeles or @bikemetro with #kissandride to enter to win a Metro T-Shirt. The post that receives the most likes, retweets, shares, etc. will win a set of shirts for you and your boo! What better way is there to spend the weekend of romance than with a casual cruise? You’ll have your lover falling head over heels as your windswept smile comes around the corner. Post your photo by midnight this Sunday (2/15) to be eligible for the prize. Don’t have a lover yet? Join the Metro for Speed Dating on the Ride Line this Friday, February 13. If you don’t have a valentine to commute with come out and find one!